Brian and Greg join forces with creative marimba movers and shakers from around the world. Don't miss this great show unlocking the many moods of a fascinating instrument! Join Rolf Landberg (Stockholm, Sweden) and Boston-based Maria Finkelmeier to discover a wide range of projects revolving around one instrument: the marimba. 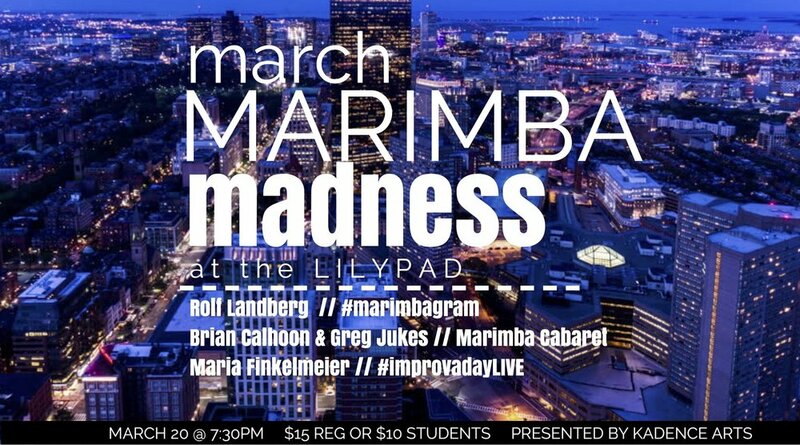 Brian and Greg of Marimba Cabaret come together to shine new light on theater and pop tunes, Rolf identifies an array of moods and characters through musical vignettes in his work #marimbagram, and Maria pairs Instagram videos with live electro-acoustic improvisations in #improvadayLIVE.